Valentine’s Day will be here soon and it’ll be time to take down the winter decorations and put up the hearts. 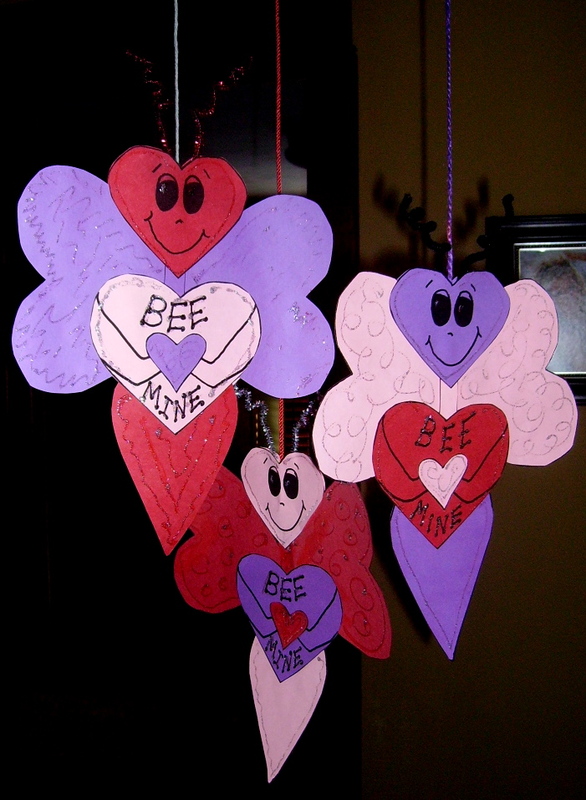 This hanging hearts decoration says,”Bee Mine.” You’ll find, “Bee Mine, Hanging Valentine,” in the 3rd Grade Projects Gallery in the sidebar. A nice hanging classroom decoration. This entry was posted in 3rd Grade, Valentine's Day and tagged 3rd Grade, decorations, easy and quick valentine hanging craft, easy valentine crafts for kids, hanging heart craft for valentines day, hanging hearts, hanging hearts craft for classroom, hearts, valentine crafts for kids. Bookmark the permalink.